When I first saw Trey Ratcliff's work it immediately captivated my curiosity and senses. I love this work! Not only is it a wonderful training ground for HDR photography, it's just plain beautiful. Seeing the images produced by Trey immediately inspires you to dig in and start creating your own spectacular photos. The inspiration is contagious -- you get inside Trey's head with travel log commentary about the photos. You also get tutorials on how the shot was created, and how you can do your own. These days, I'm no longer a photographer. Once upon a time we maintained our own commercial photography studio in this facility, but those days are long gone. Today, it's more of a hobby -- I no longer have expensive equipment nor the time to devote to the craft. However, with the help of Trey, a fairly good point-n-shoot digital camera, and Photoshop, you can indeed rival the pros! Hopefully, once I get myself to the point that I think my photos are presentable to the public, I'll upload some of mine as well. High dynamic range (HDR) photography lets you capture the myriad colors and levels of light that you can see in the real world, and the results are amazing photographs that run the gamut from super real to surreal. Explore this fantastic realm of photography through the unique vision of renowned travel photographer Trey Ratcliff. When shooting something epic, why not make it double-epic with a reflection? Reflections are always romantic, and good composition can double the punch of whatever aspect you are trying to grab. When shooting a reflection, it's sometimes best to get as close to water level as possible. 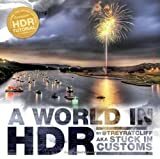 In this book, Trey shares his phenomenal HDR photographs as well as all the backstory on the adventurous circumstances of their origin. He also reveals the techniques he used to get the final shot. The breathtaking images gracing these pages and the author's real-world advice for capturing and manipulating images will inspire you to create your own HDR magic. So Trey also includes his simple and straightforward tutorial that teaches you everything you need to know to make your own HDR photographs, whether you're a beginner, amateur, or professional. Shooting this photo is an exercise in frustration for traditional photography.There's just no good way to get the brilliant bright light from the outside and all the warm light and textures from the inside at once. See how the light streaming in casts appropriate shadows on the table, how the warm lights of the inn reflect on the column and how other small details of light and shadow appear. Trey Ratcliff is best known for his website, which is the #1 travel photography blog in the world. His photography has been featured in numerous shows around the world, as well as on ABC, NBC, FOX, and the BBC. In addition, one of his HDR photographs was the first of its kind to hang in the Smithsonian. Having grown up blind in one eye, Trey has a unique way of navigating and capturing the world around him. That vision, combined with an educational background in computer science and mathematics, leads him in an algorithm-like approach to photography that can evoke palpable memories. If you're into photography, and want to expand your skills to produce photos like these, then you'll want this book.This is the book that also inspired me to go out in search of examples of HDR, and assemble this collection High Dynamic Range Photography for you to enjoy! Seriously folks, this is the one you'll need to do work like above, and in my High Dynamic Range Photography article this month. Next month we'll see another that focuses on landscapes, then another that focuses on objects. Stay tuned! But seriously folks, get A World in HDR and get a real jumpstart shot in the arm! You'll be glad you did. I've been trying to make photoshop work for me but it kept my head spinning. I've been reading a lot of photoshop books online and hopefully I can make it work this time. Can one take old photos that were scanned at low resolutions 1.5 px / inch and really make some improvements to resolution, color balance, etc in Photoshop CS3? Such as photos that have the sepia look. I really like that Christmas image!